Okay, so you want to start your very own Dental Youtube channel. This is great news considering that the majority of content consumed online is video. Furthermore, this will help your practice as Youtube is the second largest search engine after Google. Simply start your journey to making an excellent and effective Youtube channel right here and right now. First things first head over to Youtube. Now in order to create a channel on which you can publish content, you will need to make an account. On the Youtube homepage in the top right corner is a sign in button. Simply click through and fill out the details. If you already have a Google account (a Gmail for example) you can use that to sign in to Youtube and then create you r channel. Note that if you do not already have a Google account simply choose to create an account and fill out your details just as you would with any other social media account. Once you have made your account you can go back to the homepage and you will automatically be logged in. After you have your account, in the top right corner will be your icon. Click on this and it will reveal a drop-down menu, then select My channel. Your channel at first will look rather bare but of course, you are going to change all of that. You want your channel to reflect you and your practice. So make sure to have a recognisable and on brand profile photo (the small circular icon that will appear with everything you post) and the same goes for your channel banner. Your channel banner is similar to what a cover photo on Facebook is, so don’t be afraid to update and change it at any time you need. For example, if you have any offers on at the moment or have any important practice news that you want you clients and followers to know. In order to change these simply click on the customise channel button that will appear at the top of your channel when you first click through to your channel. Then click the pen icons on the profile picture and channel banner and upload whichever image you would like. Of course, as always it is important to remember smaller devices so when uploading a channel banner try to have the important part of the image focused in the centre so nothing will be cut off when viewing from a mobile device. Also when you are customising your channel you can include an ‘About’ in which you can talk in a bit more detail and establish who you are and what you do. Now your channel is suitably tailored to your practice you are ready to start uploading content. Of course, it is important to regularly upload but remember not to push content out just for the sake of it. People will always appreciate quality over quantity. In order to upload a video, you can go straight to the underlined arrow icon on the top right-hand corner of which will be there no matter what page you’re on Youtube. This will then take you through to the upload page on which you can either select a file or drag and drop one in. Just beneath the upload logo is a small button that says public. This means that when you upload something it will automatically be public and available for anyone to see. The other options are; unlisted which means that the video will be up on your channel but only people who know the specific link to that video can see it. This can be useful if you want to give bonus content to customers and add an exclusive element to your practice. The next option is private this means that only those you invite can see the video, note that they must have their own youtube accounts and you can only have a maximum of 50 invitees. Ergo you most likely won’t be using private. Finally is scheduled, this does what it says on the tin really, allowing you to choose when your video goes live. This can be good if you make a lot of content and then want to spread it out without having to be glued to your screen. So to continue once you have chosen your video you will be taken through to the upload page. There is a progress bar and it will give you an estimated time. Naturally the larger the video the longer it will take to upload. Once the video has finished processing, you will be able to change the settings for the video. One of the key things you should consider changing is the thumbnail. This is the small image that people will see when your video is public on Youtube. This allows for a great little insight into your video and more importantly should help entice potential viewers to want to watch. There are advanced settings as well but note you do not need to get bogged down in a see of settings. 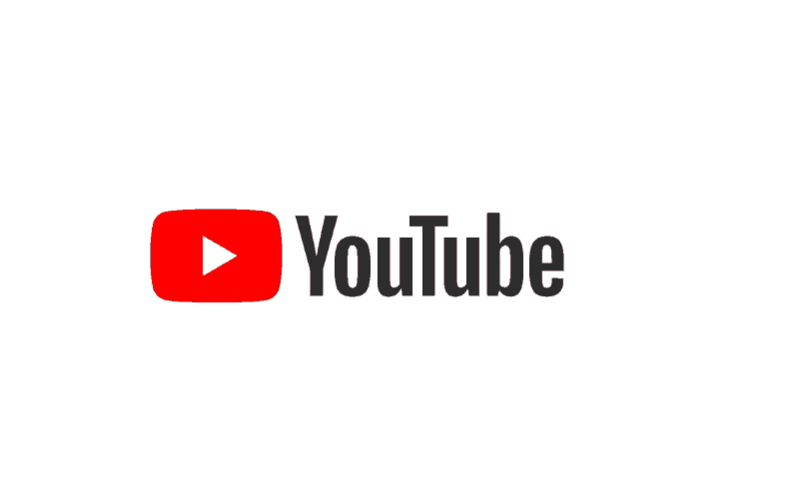 One of the important things you can choose on advanced settings is the category which will help Youtube know what kind of video yours is and this means it will recommend it to people who are watching videos in the same category. Furthermore, you can add tags as well as a description, again this helps to ensure that your video shows up with other relevant content and reaches the audience that you want. For example, you could hashtag #Dentist #Invisalign and so on. Try to keep your tags as relevant to your video as possible in order to build trust with your audience and not appear as spam. So you have a channel and you have started to upload videos what should you do now? First of all, let us quickly talk about the kind of content you want to be uploading. You want to make sure that your content gives value to your customers. Both existing and future, including before and after of treatments, introductor y videos to yourself and your team, customer testimonials and even tips and advice on keeping your face healthy. The main thing to remember with content is to let your personality shine and never be afraid to show who you are and your personal thoughts and experience. People want to watch other people they can relate to and can connect with on a personal level. Don’t forget that you can always schedule your uploads ahead of time in order to avoid being glued to a computer. Also, you do not need to make prolonged videos, short and sweet is something to consider here. Once you have built up a reasonable videography you can begin to invite people to watch your videos. Also, share that you have a Youtube channel and the videos that are there on your other social media. If you include the link, in your tweet, Facebook status it will automatically load the thumbnail. Allowing your followers to see your Youtube videos. If posting on Instagram you will need to upload a photo and then link the video in the description. Keep your followers across all social media up to date on all your uploads, and don’t be afraid to dive in. Respond to comments and ask for feedback. Similar to other social media your followers can subscribe to your channel. This means that they will be able to stay up to date with your uploads. Furthermore, make sure you get your subscribers to click to small bell icon that appears beneath your videos. This bell icon means that your subscribers will receive a notification when you post instead of just seeing you have posted when the log into Youtube. Of course, posting your videos on other social media platforms will help here to draw in views, likes and shares. Youtube has its own analytics which you can get to via the drop menu beneath your icon, as well as under your video there is the option to view analytics. Here you can see views, and how long people watched for. This will, of course, help gives you insight into what is working and what is not. This helps you to see how many subscribers you have gained each day and over various periods of time. As well as how many views you channel has in total. This is also a great way to check out your competition as you can search for any Youtube channel you want to see. Overall setting up a Youtube channel helps you to share with your clients and potential clients in the most popular format of content on the internet. Don’t be afraid to show your personality and use Youtube analytics and social blade to keep track of what is working for you, whilst of course keeping a sneaky eye on your competition. Following these steps will help you create a great Youtube channel. Now it’s over to you to become the leading dental practice on Youtube! Want to Learn More? Book a FREE Consultation Now!